Coming out of Talladega (Ala.) Superspeedway, Kurt Busch is now a member of the Two-Five Club. Busch, driver of the No. 41 Haas Automation/Monster Energy Ford Fusion for Stewart-Haas Racing (SHR), finished second in Sunday’s Geico 500 at Talladega behind winner Joey Logano. That puts him fifth in the Monster Energy NASCAR Cup Series point standings. Thus – two spot in the race finish order, five spot in the standings – the entry into the Two-Five Club. 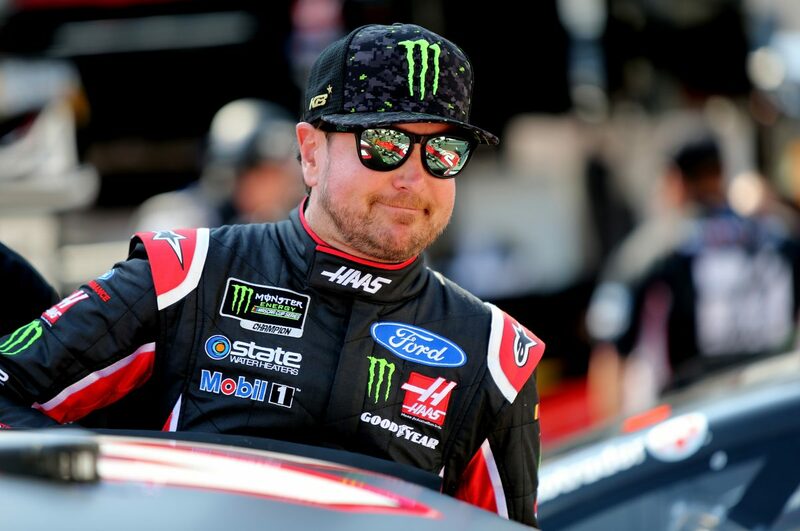 Sunday’s runner-up finish was Busch’s best since October 2017 at Kansas Speedway, and his points position is his best since March 2017, when he was second after the race at Atlanta Motor Speedway. Busch and crew chief Billy Scott have one top-five finish, four top-10s and seven top-15s in 10 races. They also qualified on the pole in track-record time at Texas Motor Speedway in Fort Worth. Now they head to Dover (Del.) International Speedway, the fast, high-banked, concrete oval. Busch has one win, seven top-fives and nine top-10s at Dover. Additionally, the 39-year-old driver has led 426 laps, has an average starting position of 11.6, an average finish of 18.7, and has completed 92.5 percent (12,962 of 14,015) of the laps he’s contested there. He scored a huge win in October 2011, when he started second and led 90 of 400 laps. Busch grabbed the lead from Jimmie Johnson on the final restart and paced the final 42 circuits to win by .908 of a second over Johnson. Busch and Scott are proud members of the Two-Five Club. But they would love to advance to the One-One Club – one victory and number one in the point standings. Can you talk about your strategy this year with crew chief Billy Scott? You have a lot of stage points this year and last year you seem to leave a lot on the table. SHR seems to be the flagship team for Ford this year. How has that performance helped your performance this year?